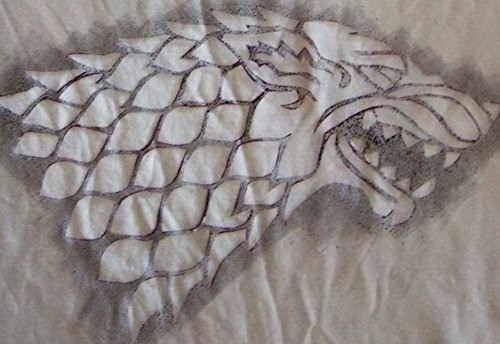 Game of Thrones Inspired Handmade Stencil.Stark Sigil by StampDealer at Nicky's Blog. Hurry! Limited time offer. Offer valid only while supplies last. This stencil is made from acetate paper, a type of transparent polymer, which allows users clean and reuse the stencil multiple times. Size: app. This stencil is made from acetate paper, a type of transparent polymer, which allows users clean and reuse the stencil multiple times. Size: app. 10.5x7 inches (about A4 size). It will be sent with application sponge . *** You can combine multiple orders from my shop at a time and pay only ONCE FOR SHIPPING.